Buster from "Arrested Development" and Annie in "Bridesmaids." What do these characters have in common? Besides being young and lovable, they represent a typical Hollywood trope: the aimless man (or woman) child who still lives with Mom and Dad. However, in spite of its persistence in contemporary movies and TV, this character is becoming less and less representative of young adults in today’s world. The young, successful adult who chooses to still sleep in his parents’ basement is instead becoming increasingly more prevalent. According to a Pew research study released in 2013, 36 percent of the total U.S. population between the ages of 18 and 30 were still living at home by the end of 2012. In 1968, it was 32 percent -- a number that remained static for decades. And while four percentage points may not seem like a lot, this is a significant shift for millions of young Americans. Yet we aren’t getting lazier; just the opposite, in fact. In terms of the economic, academic and political realities of today, the stay-at-home young adult seems less like a loser and more like a pragmatist. 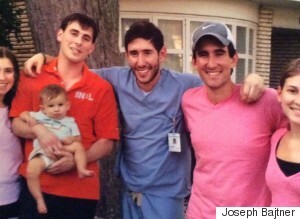 Joseph Bajtner, middle, is in his first year of dental residency and living at home. "I definitely appreciate my parents a lot more than I have in awhile," he said. 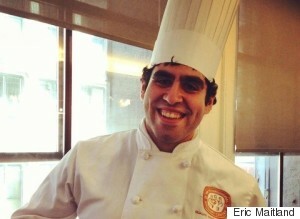 Eric Maitland, a 27-year-old chef instructor and aspiring baker, has a similar story. After moving back home to East Brunswick, New Jersey, Maitland sustained an injury at work that initially left him unable to continue on his career path. “My parents really helped me get my momentum going,” Maitland said. Now, he is taking a class at the San Francisco Baking Institute and hopes to open a bakery in his hometown. Bajtner and Maitland aren’t exceptions to the rule. The typical 20-something living with his or her parents is not a college dropout with no job or aspirations. According to the Pew study, only 40 percent of respondents in this age group had a high school diploma or less. It is much more likely that these millennials are either in college, have a job or are looking for post-college employment -- and they don’t want to rush head-first into their next stage of life. 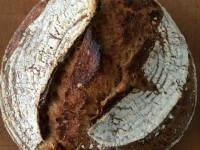 One of Eric Maitland's homemade breads, which earned him a spot at the prestigious San Francisco Baking Institute. In a recent NPR article that touched on the connection between millennials and their parents, Jeffrey Jensen Arnett, a research professor at Clark University in Massachusetts and director of the Clark Poll of Emerging Adults, noted this emerging, and encouraging, trend. "I think it's a great thing overall that there's this wonderful closeness between parents and emerging adults today, and I really think it's unprecedented in human history," Arnett said. In addition to creating stronger ties with their parents and nuclear families, millennials may also be bucking tired stereotypes around their other personal commitments. The Federal Reserve Bank found that while marriage may be on the decline, coupledom is not. 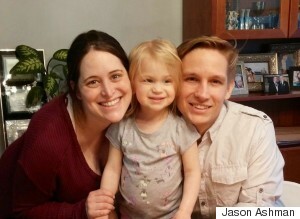 Jason Ashman, pictured here with his wife and daughter, lived with his in-laws for over a year before the young couple purchased their own home. Fortunately, the living situation worked out in Ashman’s favor: After living with Jason’s in-laws for nearly a year, the Ashmans finally closed on a home and moved in April 2014. This leap from childhood bedroom to home ownership may seem surprising to some. After the housing bubble burst in 2007, many assumed that millennials were turned off by the real estate market. And in a world where the average price of a home in 2010 was more than $272,000, an established household can be a tempting offer. Yet the Ashmans are not outliers in their desire and efforts to own home. According to TIME, homeownership is more important to millennials than it is to their older siblings’ or parents’ generations. The article quoted a recent Zillow survey in which 46 percent of young adults said that “owning a home is necessary to being a respected member of society,” and 65 percent believed that “owning a home is necessary to live The Good Life and The American Dream.” These numbers were significantly higher than the responses from older generations. An avid baker, Maitland plans on opening his own bakery in the next five years. "it’s going to be in New Jersey -- driving distance from where I’m living right now," he said. In addition, Ashman and Bajtner are close friends. Not just with each other, but with other professionals -- like medical school graduates and Google employees -- who are all still living at home. “These people are not just saving in general, but rather saving for something important like a house or to pay off dental school loans,” Ashman said. If entrepreneurs, doctors, dentists, families and Google employees are still living under their parents’ roofs, who could argue that they have failed at being successful? But if living at home is on the road to success, what does that term actually mean? What is the definition of a “successful” young adult these days? Success for my generation will be a shift from business as usual to something Umair Haque calls “Betterness.” A transition from climbing the ladder of unfulfilling societal expectations and consumerism to blazing a trail with a life guided by a holistic focus on well-being, community and sustainability. Following a better path won’t be easy but as we lie dreaming under the glow-in-the-dark stars of our childhood room, we know that it’s at least one dream worth fighting for. Life is infinitely easier with support and guidance. Now that you have the tools to embrace your future with confidence, let State Farm help you to protect it.